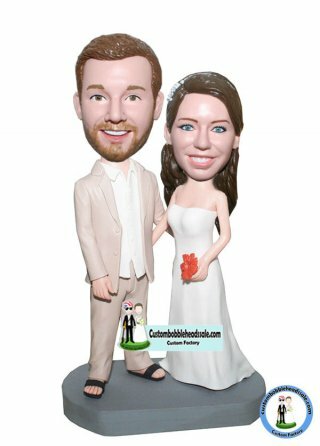 W-307 Custom bobblehead dolls made to look like you! wearing a suit without tie and a pair of black flip flops instead of shoes, while the bride dressed in a white simple strapless wedding gown with a maple leaf. 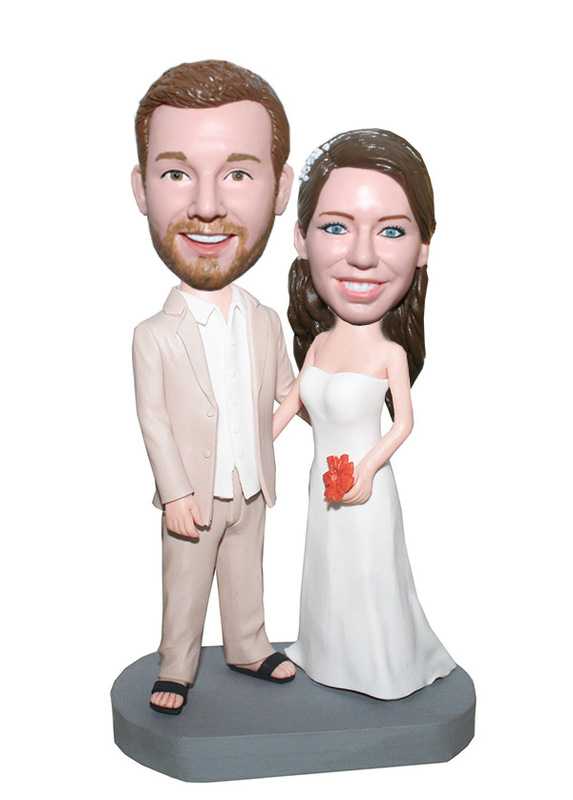 This customized heart dance bobblehead can help to remind how you two came together as one. Also perfect for the couple you really like. Our creative artists will never let you down! !